Maybe you’ve trashed your credit or maybe you’ve never built credit at all. Either way, a secured credit card is an excellent way to start building it up, so long as you manage it responsibly, of course. What is a secured credit card, you ask? Well, simply put, a secured credit card requires cardholders to put down a cash deposit that serves as (or “secures”) their credit limit. These deposits usually run around $200 to $500, but some secured credit cards allow people to put down a bigger chunk of money. Secured credit cards are primarily meant to help people who can’t qualify for a traditional credit card or installment loan demonstrate they’re able to repay financing as agreed. The best secured credit cards, in fact, have built-in credit reviews, usually within six months to a year. If the issuer sees the cardholder has made all their payments and kept their balances low, they’ll generally offer an upgrade to an unsecured piece of plastic. But let’s not get ahead of ourselves: First, let’s break down everything you need to know about secured credit cards. People can go ahead and apply for a secured credit card the same way they would any other card, but, as we mentioned, they’ll be required to put down a minimum security deposit as upfront as collateral. That security deposit is meant cover the issuer in case of default. Remember, secured credit cards are geared towards customers with no-to-low credit, meaning the bank considers them a risky investment and is asking for a security deposit to serve as a bit of insurance. Your security deposit generally serves as your full credit limit. So, if you put down $300, you’ll be able to spend up to $300 on the card. But policies vary by issuer to issuer and a few may approve you for a limit that’s bit higher than what you put down, at least after a few on-time payments. That brings us to another important component of secured credit cards: You’ll still need to be approved for both the card and a particular credit limit, so, yes, the card issuer will do a credit check. To ensure that you qualify for the best deal, consider taking these steps. Get your credit scores. Secured cards aren’t hard to qualify for, but you can fine-tune the process to help avoid rejection. Find out your credit score so that you apply only for cards you’re more likely to qualify for. Use Credit.com’s free credit report snapshot to receive two free credit scores, one from Experian, a major credit reporting agency, and another using VantageScore 3.0, a scoring system developed by the three major credit reporting agencies. Compare Cards. 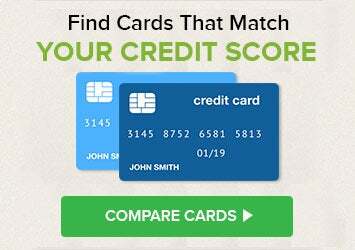 Shop around using Credit.com’s credit card search tool, filter your search for cards according to your credit score. Read the fine print on each offer, carefully comparing interest rates, fees, maintenance costs, penalties, grace periods and other details. Deposit. Put down a deposit, usually $200 to $500, which becomes your collateral. Learn your limit. You’ll get a credit limit, usually equivalent to your deposit. As an example, if you deposit $400, your credit limit is $400. How Do I Use a Secured Credit Card? After you’re approved and put that deposit down, secured credit cards work mostly the same way that unsecured credit cards do. You use the card to make purchases (up to your credit limit, of course) and you’re expected to make at least a minimum payment each month. That payment, however, isn’t covered by your security deposit. Instead, you’ve got to use other funds to cover what you owe — just as if you were borrowing money directly from the issuer. If you don’t make a monthly payment, the issuer could use the security deposit you laid out to cover any outstanding purchases. Are Secured Credit Cards & Prepaid Cards the Same? Who Should Get Secured Credit Cards? Sticking to a budget. A secured card can help because you’ll always know that you have to keep your card balance low. New to using credit. A secured card works like training wheels: It’s a great way to learn and get comfortable using credit. A parent. Parents use secured cards to teach students and young people how to use credit carefully. On a limited budget. A secured card helps you avoid checking account overdraft fees when there’s not much money in your checking account. With a secured credit card, you don’t have to worry whether the money will be in your account when a check lands. Living debt-free. If you’re avoiding the temptations of a credit card but still want to keep an active credit history, a secured card can support your goals. Of course, secured credit cards aren’t for everyone. Let’s break down the pros and cons to help you decide if they’re your best option. It’s a real credit card. You can use the card at any place that accepts major credit cards. Again, unlike a prepaid card, you’re not drawing down deposited funds. Rather, you are using the card to borrow money at the terms established in your contract. (Remember, the deposit covers the risk a card company takes when lending to you.) Manage the card responsibly and you’ll get the deposit back. Easier to qualify. Not everyone qualifies for a secured card, but chances are good that you will, as approval rates are typically high. The requirements for these cards are much more forgiving than they are for major credit cards. Small credit limit. Usually your limit is about the same as your deposit. The point is to build your credit slowly and safely, so have patience with starting small. Credit scores take into account how you use your available credit. Cost. Some of these cards really pile on the fees. Fees vary a lot, depending on the card you choose. So shop carefully for the very best deal. No rewards (mostly). If you’ve got good credit and manage your bills responsibly, it’s important to note that opting for a secured credit card will generally negate your ability to earn credit card rewards, with one or two exceptions. The Discover it® Secured, for instance, does offer 1% cash back on all purchases and 2% cash back on up to $1,000 in combined purchases at restaurants or gas stations. That card carries no annual fee and a variable purchase APR of 25.24%; you’ll want to see the full card agreement for details. How Will Secured Cards Affect Your Credit Score? When you’re shopping for a card, be sure to choose one that sends your payment activity and account information to all three of the major credit bureaus – Equifax, TransUnion and Experian. This allows your credit score to benefit most from your credit usage and on-time payments. Think of the card not as a convenience so much as a way to build credit. To get the most from it, it’s important to know how credit scores treat your usage and payment activity. One major credit score factor is your credit utilization rate, which compares how much credit you’re using with the credit limit on your card. To help build your credit, keep your utilization rate low. Do that by carrying a balance that’s no more than ideally 10% to at least 30% of your credit limit. Running up your card balance hurts your ratio, damaging your credit score. For example, if your credit limit is $300, keep your balance under $75. If your limit’s $200, keep the balance under $50. If it’s $500, don’t go over $125. Note, though: You don’t have to run up debt to have good credit. It’s perfectly fine to pay your balance off in full each month. Your payment history also affects up to 35% of your credit score. Late payments bring down your score, while on-time payments keep your credit score healthy. When Can I Expect to Upgrade to a Non-Secured Credit Card? Again, it will vary from issuer to issuer, but, assuming you’re making all your payments on time and keep your credit utilization low, you should still expect to wait at least six months to a year for a formal upgrade. Some issuers outline in their application how you can go about qualifying for a traditional card or, at least, a higher credit limit. At publishing time, the Discover it® Secured, Chase Freedom Unlimited, and Capital One Secured MasterCard credit cards are offered through Credit.com product pages, and Credit.com is compensated if our users apply for and ultimately sign up for any of these cards. However, this relationship does not result in any preferential editorial treatment. This content is not provided by the card issuer(s). Any opinions expressed are those of Credit.com alone, and have not been reviewed, approved or otherwise endorsed by the issuer(s). Could you clarify your question a little? What are you asking us? First of all, congratulations on maintaining such a good history on this card! Secondly, if you close it you won’t lose the entire history. But you will lose the available credit when your debt usage ratio is calculated. A couple of questions for you: have you tried applying for a different unsecured card? If you qualify for one you want then you can start using the new one and build a credit history. If you don’t, then can you stomach another year with this card? If you keep up the good payment history I can’t imagine you wouldn’t start finding other options. I was approved in August 2014 only months after the secured account for an unsecured Capitalone Quick Silver One cash back Rewards card with a $300 limit . Having known how to manipulate it and bleed it of all its benefits and so on, as of February 2015 a CLI of $3,000 was applied without requesting it amounting to a grand total of $3,300 of unsecured credit, and to sweeten the pot they have upgraded the account to Quick Silver which is the version in the category of excellent – good credit – Fico across the 3 Experian – 650 Transunion -650 Equifax-647 currently. Is that 4 month difference in account age in (credit) measurement of time a big factor? I would like to think it’s the equivalent of half of an eye blink at most. Four months isn’t a huge amount of time, and if you really don’t want the other card it sounds like it’s time to move on. That’s great you were able to get your credit limit from $300 to $3300! Excellent progress. One option is to recover just half of your escrow money ($500) and apply for a Capital One secured card. That will give you two accounts to use as you establish positive history rather than one big one. Canceling the card would also remove your oldest card from your history and change your credit age. I went through the rebuilding process and in 18 months have rebuilt from having no credit at all to having 1 secured and 3 unsecured cards in my wallet, and 3 other same as cash accounts, and a score that went from 560 to the high-mid 600s. Remember that secured credit is a good “starter home”, but after a year you should be able to get an unsecured credit card if your payment record has been as responsible as you say. One thing I might offer as a point of strategy is to back down from that 25% usage. Use just 10% of the credit line and pay it to $0 every month. Try to NEVER take a balance forward. While I had only a $500 limit secured card, I used it for one tank of gas and then put it away for the month. This may help you rebuild a little faster. I’m not sure I understand the deposit: From what I understand, I’m basically buying a credit card (depositing $300) to borrow from the deposit only to pay back the deposit? The deposit removes the risk an issuer would take in extending credit to you. That is why these cards can work for someone who could not otherwise qualify. You still get the protections (the right to dispute, etc.) afforded credit cardholder, and your repayment record should be reported to the credit bureaus. If you handle the card responsibly, it should help you improve your credit and qualify for an unsecured card. At that point, some cards switch you over to an unsecured card and refund the deposit. (With others, you would apply for a different card and once approved, cancel the first ones.) Secured cards are a way to build or rebuild credit — a kind of a bridge to unsecured credit.